NSW has a problem with music festivals, and the country has a problem with alcohol. If the government won’t budge on the issue, are alcohol-free events a viable option? Can the police deny partygoers on the assumption of drugs? 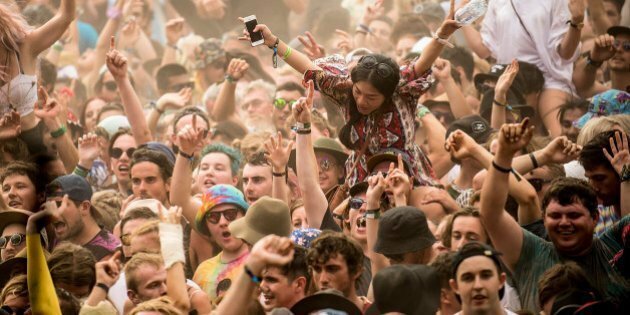 At this weekend’s Above and Beyond music festival, NSW police have vowed to deny ticket holders entry on the basis of drugs, even if they don’t find any. Move over Centrepoint, as Sydney has a new landmark to marvel at. According to an independent study, it’s a mountain of cocaine. Ahh, Monday…can’t wait to shirk your challenges. What happened while you were asleep? Well, the White House fell under attack from stupidity, there were renewed calls for drug decriminalisation and 2017 claimed it’s next victim. Despite the proven results of safe inhalation rooms overseas, the political response in this country is pitifully backwards. Struggle Street: Is smoking cannabis while pregnant “my business”? Billie’s drug use while pregnant on SBS’s Struggle Street may appear a crime, but when someone falls through the cracks, should they be sent straight to jail? While NYE will bring about its usual party-filled wave of casual drug use, Michael Burrill opens up the discussion on more serious drug use, pleading the need to start shaping drug policy with compassion and intelligence rather than fear and punishment. The recent SMH article by Matt Noffs on casual use of Ice has got Rainer the cabbie thinking…was this tack of Noffs’ the right approach?